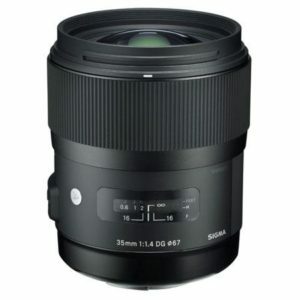 The Sigma 35mm F1.4 DG HSM | A is a fast wide angle prime lens designed for full frame digital SLR cameras. It is available in mounts for Canon, Nikon, Pentax, Sigma and Sony A-mount. The lens can also be used on APS-C digital SLR cameras, however, will not give th same wide angle perspective. Instead it will give a more “normal” field of view on those cameras. 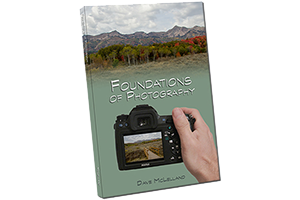 The Lens is generally very well regarded in terms of image quality and sets the standard for the class. The Sigma sets the standard for image quality in a 35mm full frame prime lens. This lens was one of the first of the new Sigma “Art”lenses that heralded a new era in lens design and set to raise the bar. In that regard, Sigma nailed it! One thing that is somewhat Disappointing is that the lens does not have image stabilization. Seeing that one of th primary uses for this lens would be low light photography such as weddings, this seems like a pretty big oversight. Many will argue that the f/1.4 max aperture helps to compensate for that, and since image stabilization does not help with moving subjects such s people, then this is not as bad as most people might think. That said, the Tamron 35mm f/1.8 lens does have image stabilization and also offers very good image quality. It costs about $300 less than the Sigma as well. The lens is built like a tank, but does not seem to be weather sealed like the Tamron. However, the Sigma is very heavy and feels very solid in the hand. It weighs about 1.5 lbs, making it the heaviest 35mm prime lens when compared with the Tamron, Canon and Nikon versions. The Sigma 35mm F1.4 DG HSM | A is a class leader in the 35mm fast prime lens class. It seems to offer th best image quality of it’s peers. I have not tested the Carl Zeiss version yet, but from what I understand the Sigma even gives Carl a run for his money, and for a lot less money, too! However, the Sigma is also the most expensive (again excluding th Zeiss). It does not have image stabilization like the Canon or the Tamron options, but it is faster than the rest with a max aperture of f/1.4. I also wish it was weather sealed since I like to do landscape photography and not always on the best weather days. This lens is a case of if you have the means I highly recommend it. However, if you need image stabilization then I strongly suggest the Tamron 35mm f/1.8 lens instead. based on 946 user reviews online.